If you want to add some awesome seating options for your waiting area or long table seating areas, these solid reclaimed wood benches add some incredible character and are sure to be enjoyed by your customers! These gorgeous pieces of art are the perfect accent to any rustic or industrial-style decor for your restaurant or cafe. Our Wairhouse Furniture™ Brand Solid Reclaimed Wood Benches are made from authentic, natural reclaimed wood, which makes every bench totally unique with some variation in color and texture based on the raw material available. These benches are protected with a water-based matte finish to ensure the usual wear-and-tear of regular use. 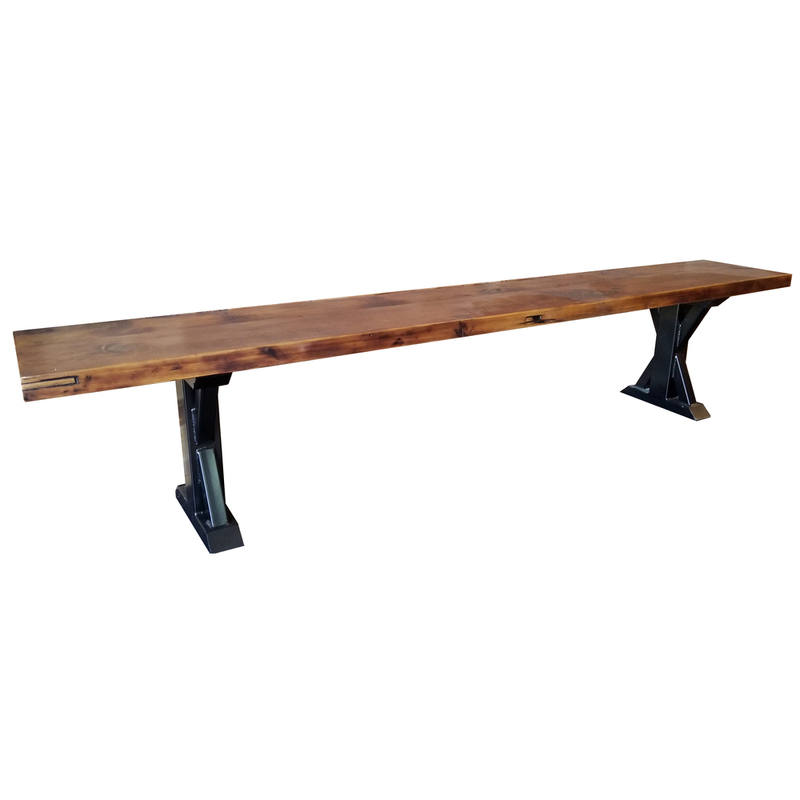 Our benches are also made to match your space, coming in 7-foot, 8-foot, and 9-foot lengths. The legs of the benches are sturdy and durable steel legs to ensure that your benches remain in great condition for years. This product ships from Garland, Texas. 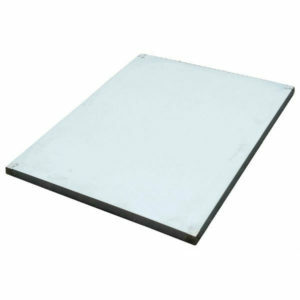 NOTE – Because shipping costs are so high, we no longer accept orders quantities less than 4 pieces on anything over 42″ in length (Can be mixed sizes but at least 4 must be over 42″ to qualify… in other words… Cannot buy (1) 30 x 96 and (3) 24 x 24 tops). They must ship on a pallet and the cost is VERY HIGH unless shipping in quantities of 6 or more. NOTE – These benches come with either the X6 Feet for the 15″ or 18″ deep benches or the X2 feet for the 18″ benches only. NOTE – Alterations made to any product voids any warranty that may have been available. Our product is a great value because we make them in quantities of 50-100 per size, allowing us an economy of scale nobody else can match. Boards can settle or check over time depending on your weather conditions, which is part of the beauty of these reclaimed wood. If this happens, there is a quick remedy that you can use to maintain them. Not recommended for outdoor use.